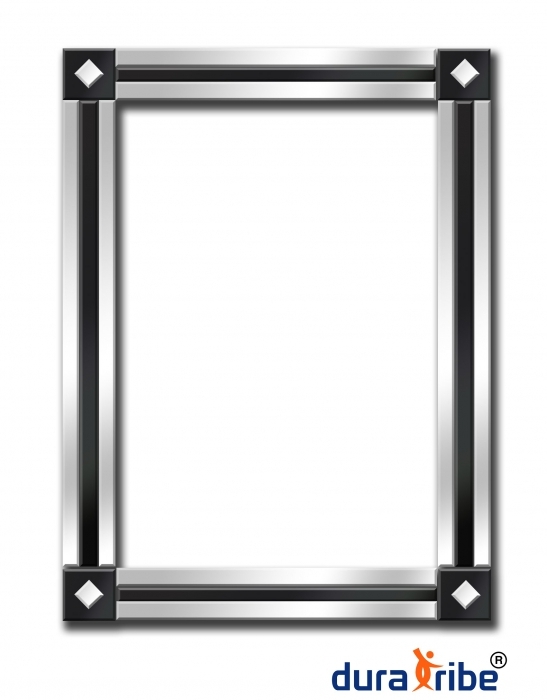 Fabulous rectangular shape City Block wall mirror is handmade. A beautifully crafted piece of art with bevelled smaller rectangular black and clear reflective mirrors around the main large rectangular mirror. Its crafted with uniquely designed smaller bevelled mirrors all around a big mirror in the middle. Ready to hang in the landscape or portrait position. Comes complete with 4 strong D shaped Metal hooks & adhesive sponge to perfectly fit on wall.